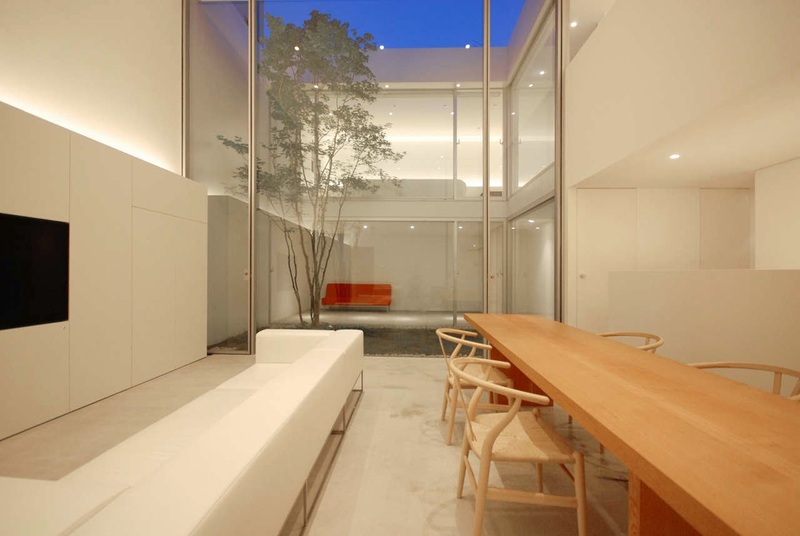 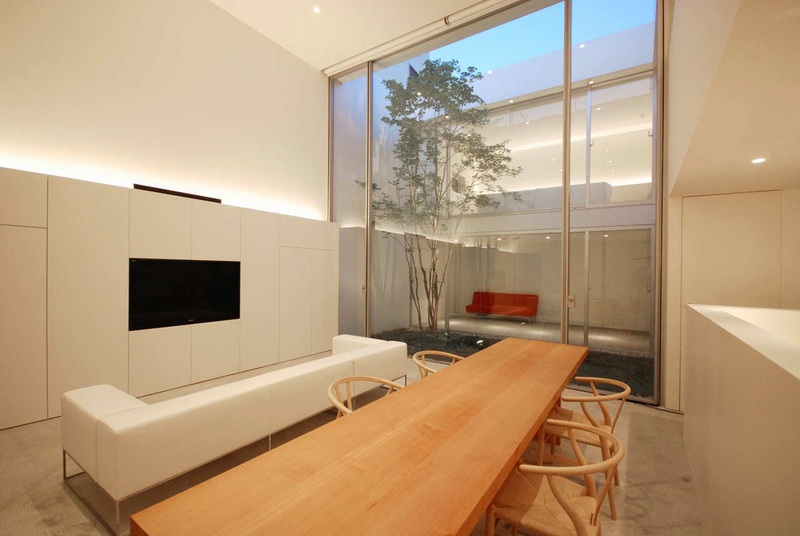 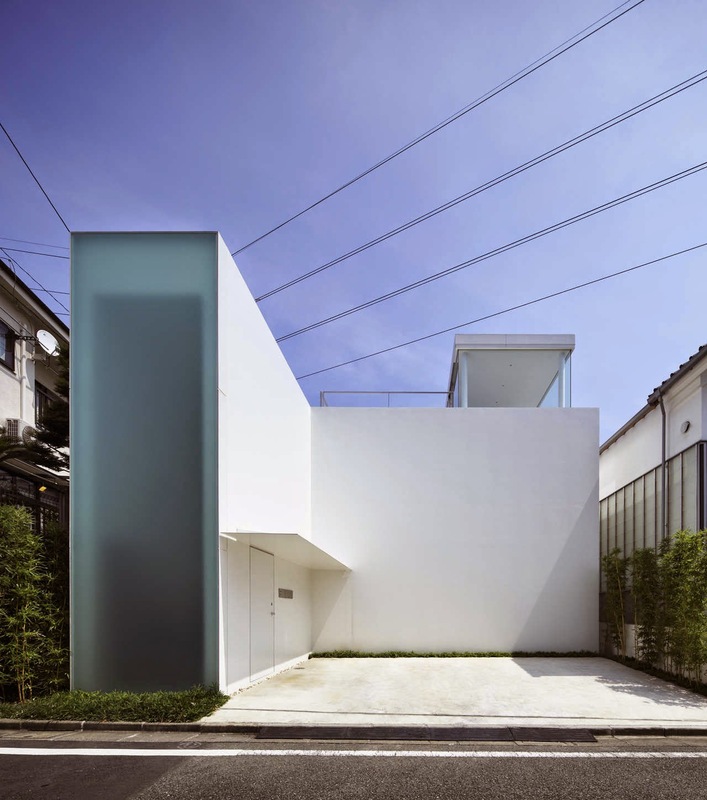 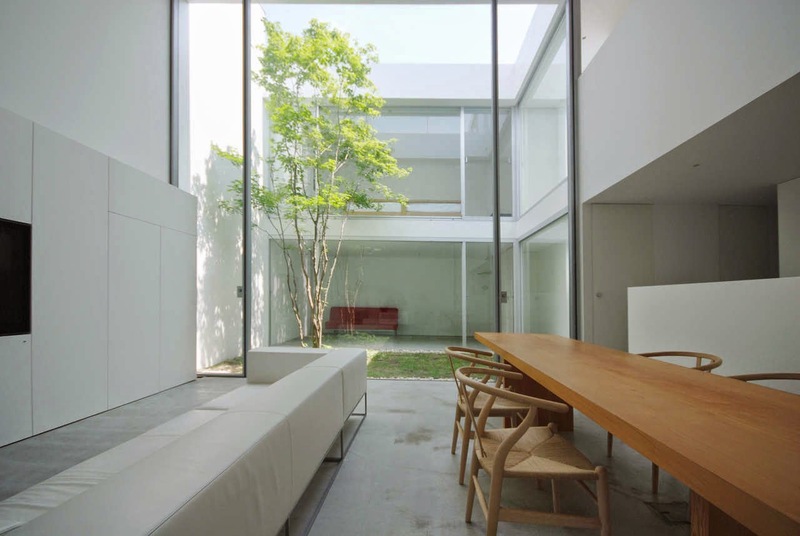 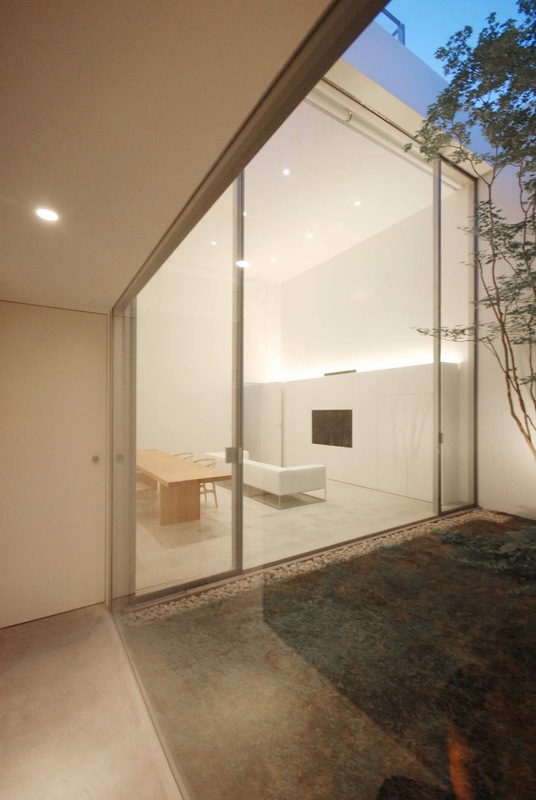 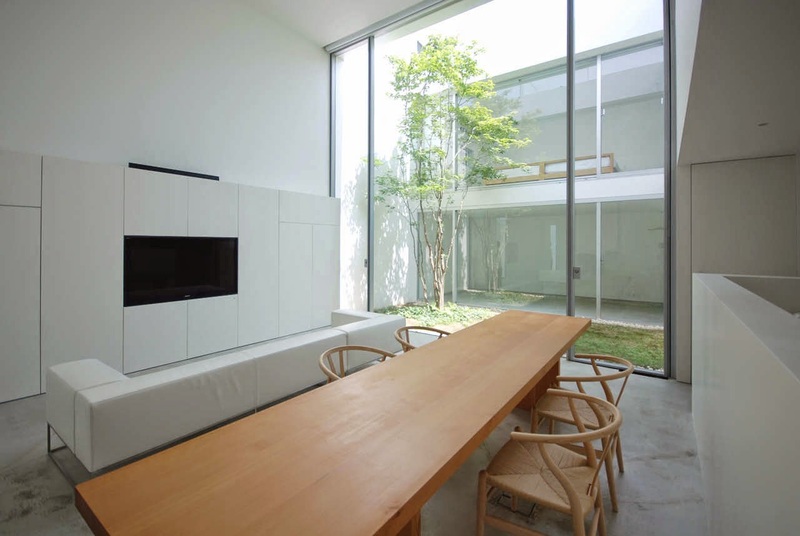 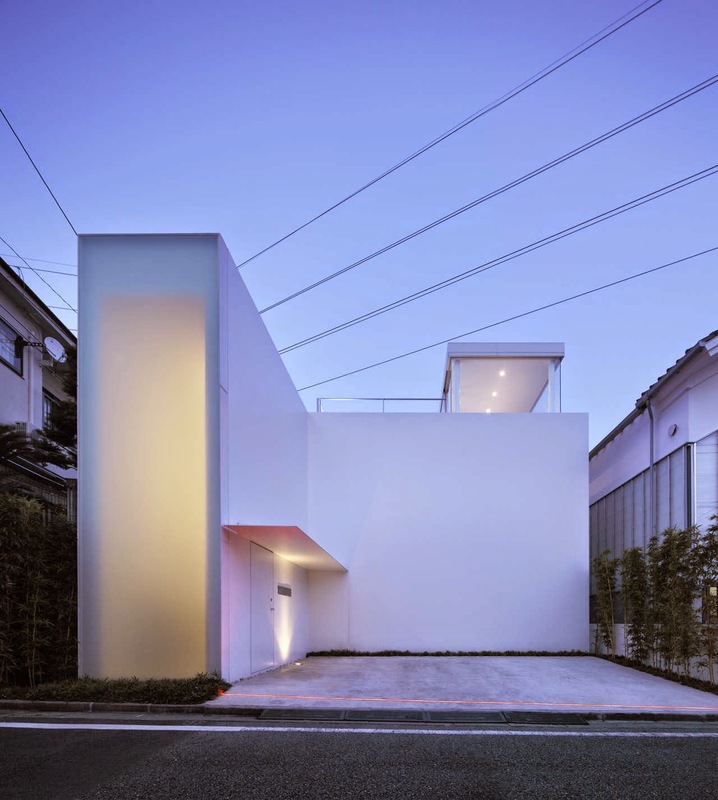 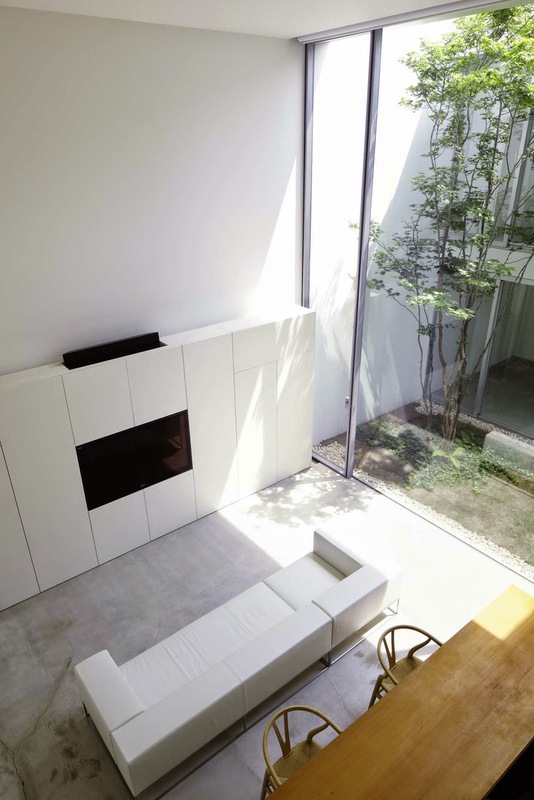 Japanese architects Shinichi Ogawa & Associates designed minimalist Cube Court House in Tokyo, Japan, featuring a closed main facade with a tall wall of frosted glass and an internal courtyard that defines the house’s layout. 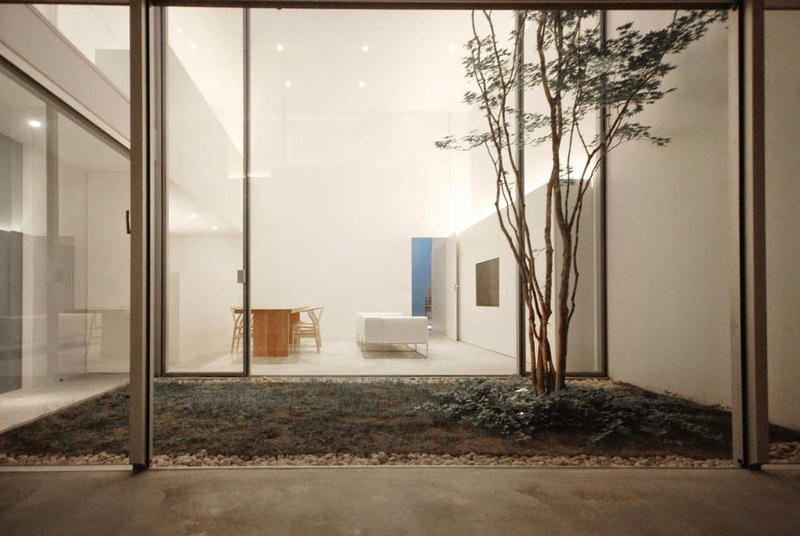 Within a calm residential area in Tokyo, this house has the two contrasting faces: an intimate, introverted, closed house with courtyard and an outward looking, open glasshouse above. 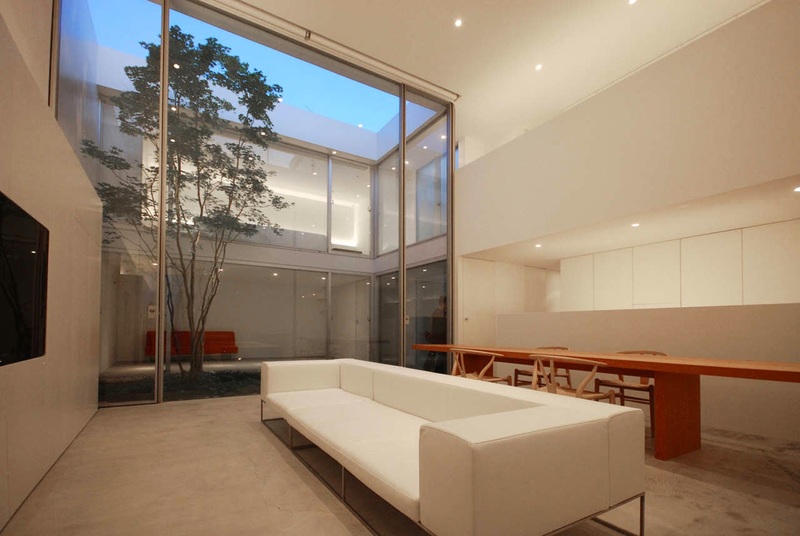 A tall wall of frosted glass on the principal façade brings sunlight into the entrance hall, through which the LDK room is accessed. 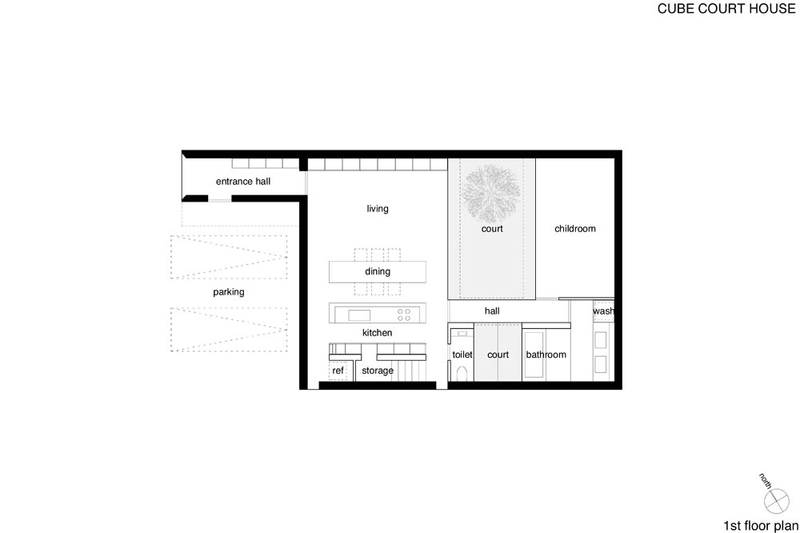 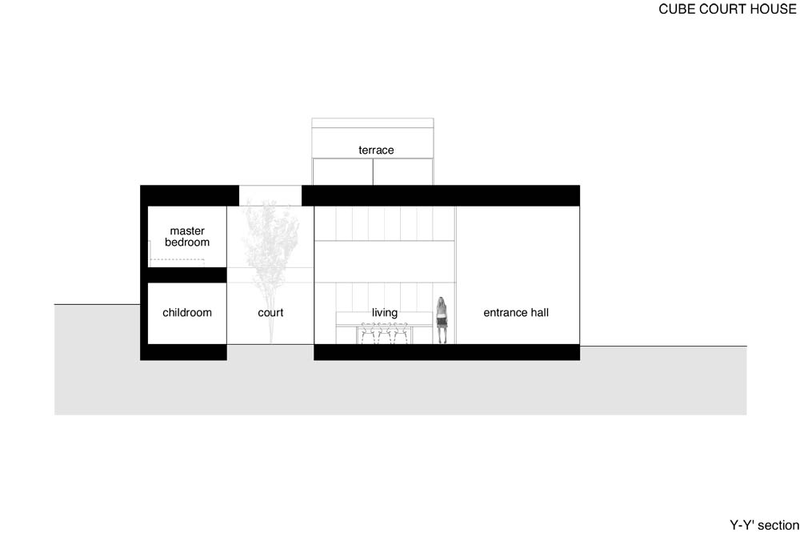 The large courtyard is bounded on the North by the LDK and on the opposite side the children’s room and master bedroom. 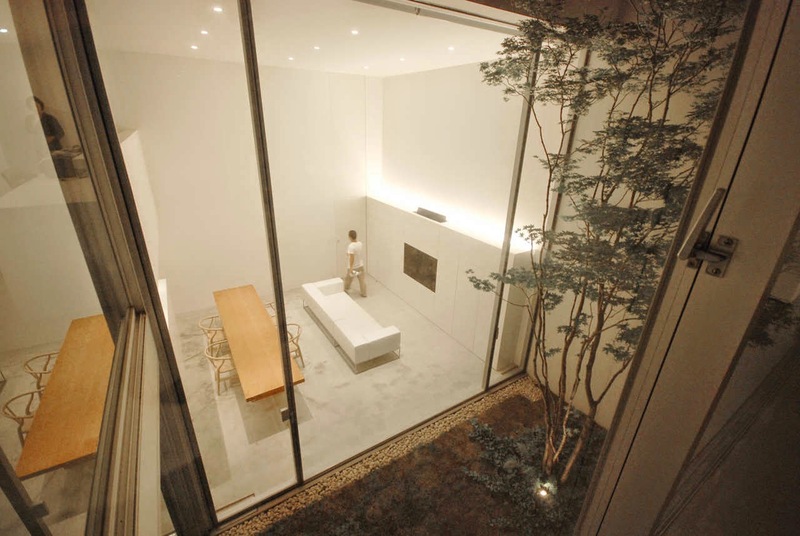 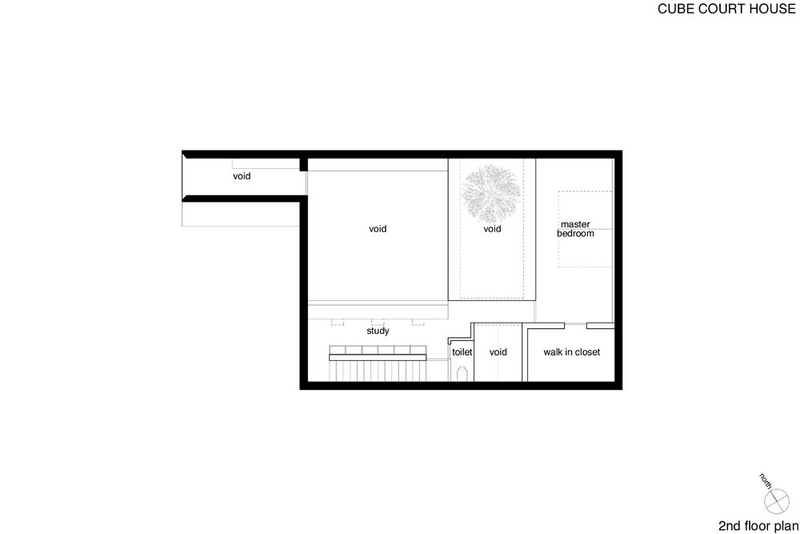 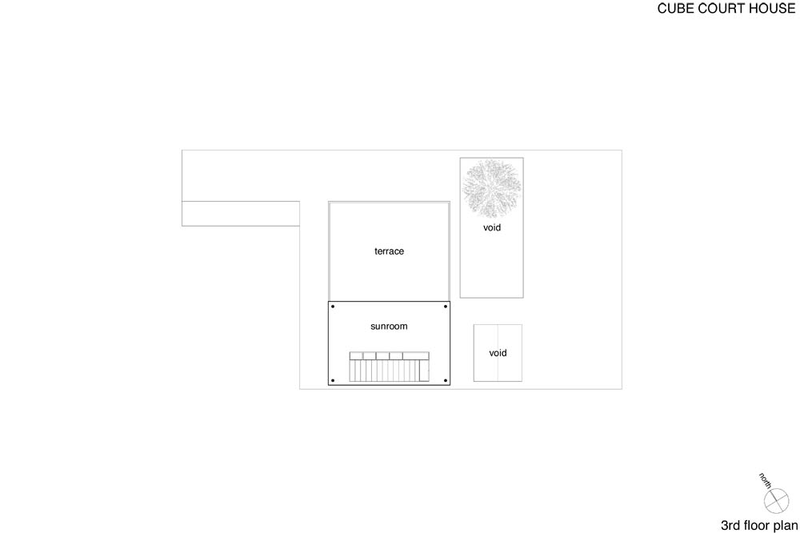 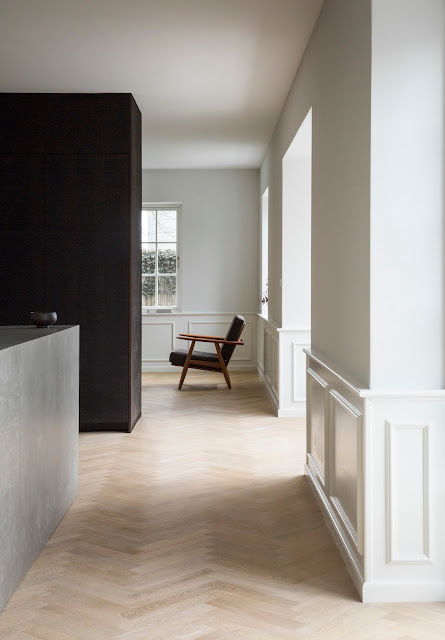 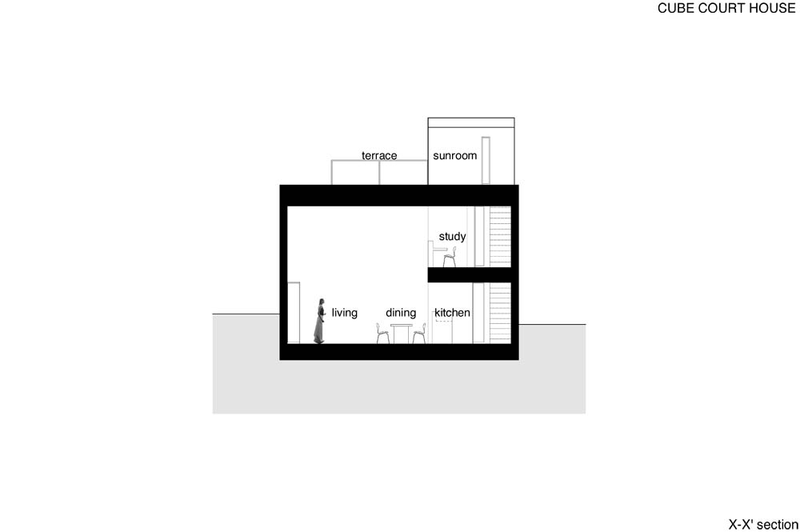 The small courtyard is placed for the bathroom and the toilets, interrupting the eyes. 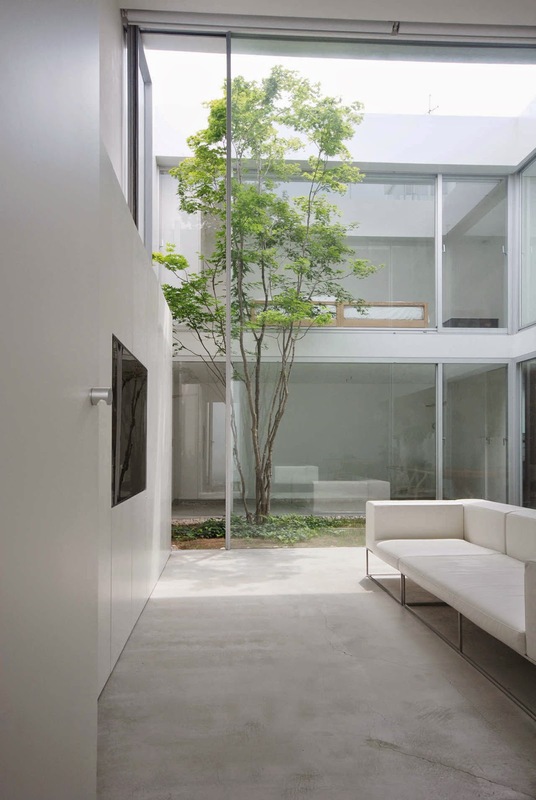 Totally closed toward the neighborhood, the cubic courtyard connects these modestly sized rooms indirectly, creating a sense of togetherness, while providing a comfortable, spacious living environment; well ventilated, filled with sunlight and connected to the changing seasons. 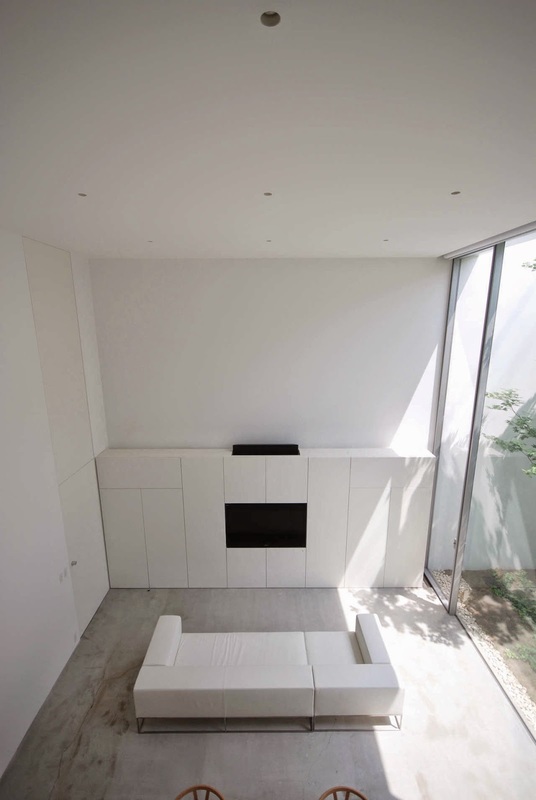 In contrast, the 3rd floor glazed penthouse and a roof top terrace are perfectly opened towards the city.